Tip 1: What Kind to Buy? One class participant bought coconut milk at a regular grocery store that curdled and didn’t taste good. She felt the milk we used in class was far better, so here are the two brands we used, purchased at Whole Foods or Vitamin Cottage. 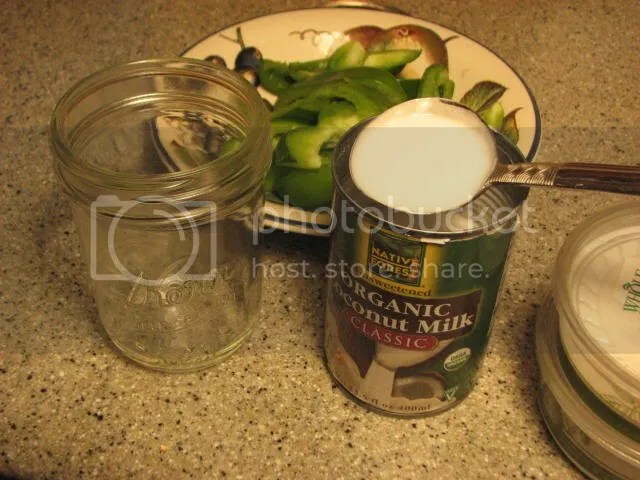 Like unhomogenized cow’s milk, coconut milk separates, with the heavier cream rising to the top of the can. According to my friend (see below), Asian cooks frequently skim off the cream for special uses, like adding a creamy finish to a dish, much as we would add a splash of heavy cream to finish a soup. 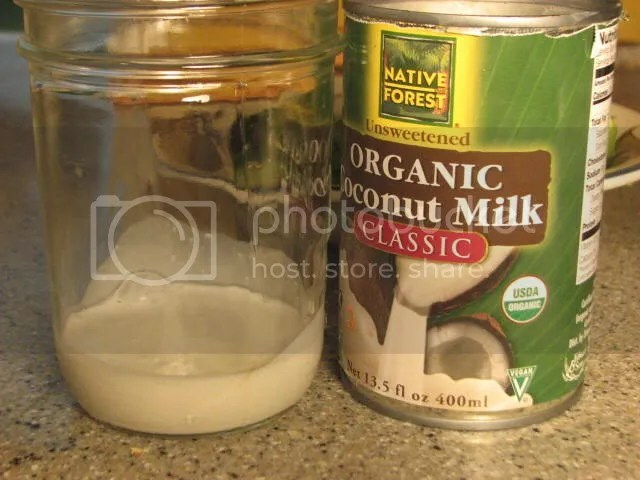 If you don’t do this, then be sure to shake the coconut milk well before opening the can or stir it well once opened. Sometimes, the cream will harden slightly, requiring careful and patient whisking with a fork to blend everything together before using. 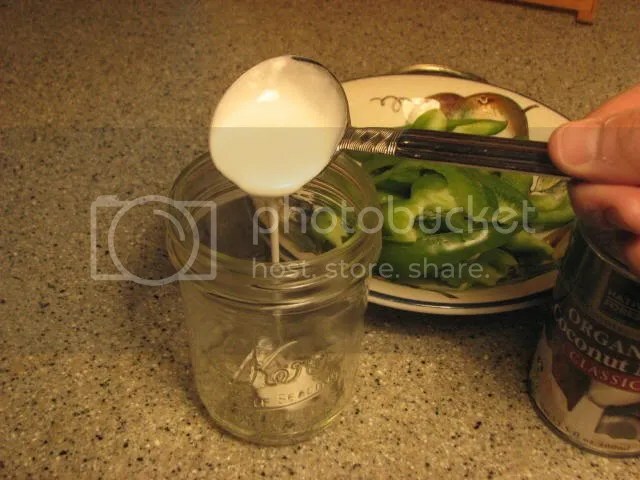 Use a small gravy ladle to skim cream from coconut milk. . . . . . then pour into a jar . . .and store in the frig for use within 4-5 days. A friend who is a great Asian cook shared this tip, a great one since coconut milk is often used in small amounts and the excess can sour after just five or six days in the frig. If you can’t use it up extra coconut milk in that short a time, simply freeze in small containers or ice cube trays so it can be used in small amounts. After freezing the milk will separate and have a curdled texture, but will taste just fine. 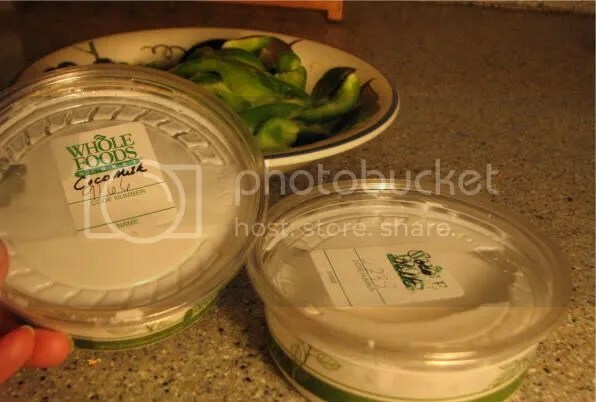 The bigger lesson for any new pantry ingredient: Learn how to store to maintain freshness for later use, since many are used in small amounts.